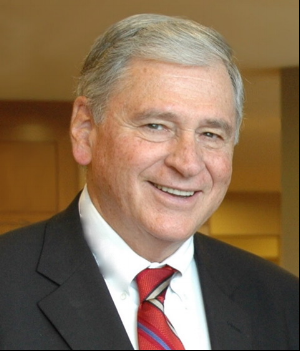 Dr. William G. Enright, is the Emeritus Founding Executive Director of the Lake Institute on Faith and Giving at the Lilly School of Philanthropy at Indiana University. He holds four honorary doctorates and is also co-founder of the Celebration of Hope, a program for racial reconciliation, which was recognized by President Clinton as one of ten national programs to be honored at the White House. We are blessed to have this distinguished speaker join us! His Kitchen Table Giving book has been inspirational so we can't wait to find out more at his special webinar for UMSF. Learn how to ask, not beg. Learn how to share what God is doing to spark "spiritual imagination." Learn to evaluate needs and longings to support and impact ministry goals. Dr. Enright's approach to inviting generosity can allow "money to follow mission" through personal stories and relevant data. Register by April 23, 2019 to reserve your place to learn more. Your $25 registration fee may be eligible for CEUs. If you are clergy you can have the $25 reimbursed, and we will send you information on this special new program. For Clergy: Do You Want to Participate in Webinar Fee Reimbursement Program? If you are registering others, please list their names and email addresses. NOTE: Each participant is asked to pay a registration fee even if viewing the webinar on the same computer. Thank you. For any questions, contact sfcpa@umstewardship.org or call 717-766-7343. Join us for this interactive and inspiring webinar! For those of you who took Grace Pomroy's Millennial webinar in 2018, you know what a treat is in store for you with her presentations! With Chick Lane's leadership and insights added, you'll have twice the inspiration! We are delighted to have Grace and Rev. Chick Lane as our facilitators this year. This first of two webinars can be taken by itself or with the next one to increase your stewardship by understanding more about its possibilities. Authors Grace Pomory, CFEI, and Rev. Chick Lane are dedicated and gifted presenters. They bring a wonderful balance of perspectives and tools to share with us! Grace and Chick invite you to speak up as they host and engage in a conversation with you to bring more ideas and practices of stewardship to your churches. Register by April 9, 2019 to learn more. Your $25 registration fee may be eligible for CEUs. If you are clergy you can have the $25 reimbursed,; we will send you information on this. Note: You do not have to be a pastor to learn stewardship! Pastors: To earn CEU credit, please use a computer with a web camera and remain visible for the entire hour as well as completing and returning the Reflections of Learning form before 4 PM on April 10, 2019. Ready to Sign Up? Click on the box below! For Clergy: Do you want to participate in program to reimburse webinar fee? Please list other participants' names and email addresses if you are registering for them. NOTE: We ask each participant to pay the registration fee even if viewing the webinar with you on your computer. Thank you. For any questions, please contact us at sfcpa@umstewardship.org or 717-766-7343. Tell Your Church's Story Through the Budget! Discover the Simplest Ways to Communicate with Your Congregation: Just Do the Math! For this interactive and powerful webinar, Bonnie has suggested participants register two people to attend from each church -- one to do the math and one to work on the storytelling side of a narrative budget. You will learn about sharing the ways your church makes an impact and how giving is affirmed and inspired. Register by September 10, 2019 to reserve your place to learn more. Your $25 registration fee may be eligible for CEUs. If you are clergy you can have the $25 reimbursed, and we will send you information on this special new program. For Clergy: Do You Want to Register for Webinar Fee Reimbursement Program? NOTE: Each participant is asked to pay the registration fee even if viewing the webinar on the same computer. Thank you. We're Providing Stewardship 2.0: Join Us! Grace and Chick are Back! These co-authors are leading the way in Stewardship from the heart! Grace Pomroy and Rev. 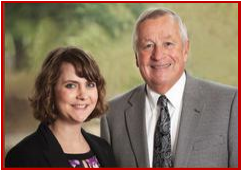 Chick Lane are our special presenters in the second stewardship webinar for April. They are national speakers and we are grateful they can be here. “Don’t Forget to Say Thanks” - importance of saying "thank you"
Register by April 16, 2019. Your $25 registration fee may be eligible for CEUs. If you are clergy you can have the $25 reimbursed, and we will send you information on this special new program.. NOTE: We ask each participant to pay the registration fee even if viewing from the same computer. For any questions, contact us at sfcpa@umstewardship.org or call 717-766-7343. Hospitality is a Ministry and a Mission! See your church through the eyes of visitors and reach out to others in love. Do you know what little things have the biggest impact on first impressions? Do you know how to continue and deepen your welcome of guests in their return visits? Do you know why what you know about your church is excluding others in worship? Come to this informative and transformative look at becoming better witnesses through easy changes to your hospitality outreach. This is the third in a series of four media stewardship webinars -- we hope you can join us! You are welcome to take any or all of them. Ready to find more effective ways to welcome and include others? Register by October 1, 2019 to reserve your place to learn more. For Clergy: Do You Want to Apply for Webinar Fee Reimbursement Program? NOTE: We ask that each participant pay the registration fee even if viewing the webinar on the same computer with another participant. Thank you. Get Ready for 2020! Prepare for the Next Year -- Now. Work on your financial planning to wrap-up your year and look forward to the new. We appreciate that Rev. Ed Bailey is again offering his time and expertise to provide this updated TWO-HOUR webinar for you. He is an ordained elder with 20 years of pastoral experience who has also served as his conference's Pensions and Benefits Vice-Chair. Taking this webinar will equip you with insights on your filing status and how to help your church treasurer fill out forms. It will also provide you with information on the some of the best practices for preparing and filing your taxes. Register by October 7, 2019 to reserve your place to learn more. Your $25 registration fee may be eligible for CEUs. If you are clergy you can have the $25 reimbursed, and we will send you information on this special new program. If you are registering someone with you such as a spouse or church treasurer, please list their names and email addresses. NOTE: We ask each participant to pay the registration fee even if viewing the webinar on the same computer. Thank you. If you feel stretched by limited finances, volunteers, or energy, find out what to do! We are grateful to welcome back CEO Scott Vaughan, our talented facilitator. His wide range of knowledge on making and meeting communication meaningful and effective has helped churches nationwide. What amount of time does it take to share your church's news? How many volunteers do you have to help with worship? What are the costs you might not have considered for your communication strategies? What are the resources you might not have fully utilized? Learn more in this informative session on all the kinds of communications you can be using for maximum reach and results with the time, funds, and people you have. Register by October 8, 2019 to reserve your place to learn more. Your $25 registration fee may be eligible for CEUs. If you are clergy you can have the $25 reimbursed, and we will send you information on this special new program. For Clergy: Do You Want to Participate in the Webinar Fee Reimbursement Program? Please list others' names and email addresses if you are registering for them too. NOTE: We ask each participant to pay the registration fee even if viewing the webinar on the same computer with others. Are You Changing for the Changing Needs of Your Church? 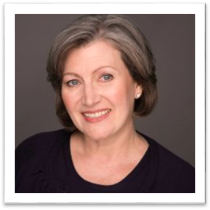 "Lead in ways that garner the interest, investment, and commitment of others"
Aimée Laramore, our engaging presenter, is CEO of Allyd Image Solutions and a leading teacher at Horizons Stewardship. "Adaptive Leadership requires that we be nimble with data, processes, strategy and approaches - and it understands the BOTH/AND." "Adaptive Leadership in Resource Development means we invest more in people who can lead and navigate change, than in 'making a better ask or designing a better appeal.'" We are privileged to have Aimée share how adaptive leadership works in our faith communities today! JOIN US for this wonderful webinar to close out 2019! Register by November 5, 2019 to reserve your place to learn more. Your $25 registration fee may be eligible for CEUs. If you are clergy you can have the $25 reimbursed, and we will send you information on this special new program. NOTE: We ask that each participant pay the registration fee even if viewing the webinar on the same computer. Thank you. Curious What John Wesley Had to Say about Wealth? How Did He Harness the Power of Stewardship to Do Good Works? What Did He Warn about the Power of Money that Helps Us? Rev. Dr. Steve Manskar, a top Wesley scholar, leads us in our final webinar in this three-part series. We are honored he has shared so much with us! Join us for the third and final installment in this special three-part series to explore our United Methodist founder, the church he started, and the beliefs he had about stewardship. You are invited to take this webinar even if you don't take the other two, although taking all three together will give you a more holistic look at our Methodist roots. Please list the names and email addresses for any other participants you are registering. NOTE: Each participant needs to have paid a separate registration fee even if viewing the webinar on the same computer screen. Thank you! Learn What Makes Us Methodists. How Did We Develop as a Church? Why is This Vital to Know for Our Future? Join us for the second in this special three-part series to explore our United Methodist founder, the church he started, and the beliefs he had about stewardship that affect us even today in our individual and corporate lives. You are invited to take this webinar even if you don't take the other two, although taking all three together will give you a more holistic look at our Methodist roots. Manskar shared that “The Method of Methodism” will explore the theological and practical distinctive of the Methodist movement. Here are some of the events he'll cover that built some of our church's practices and helped to create our distinct perspective of faith today. Please list other participants that you are registering for this event. For any questions, contact us by email at sfcpa@umstewardship.org or call 717-766-7343. Stewardship includes acknowledging and managing our faith identity. How do we recognize the influence of John Wesley in our current day-to-day faith practices? Rev. Dr. Steve Manskar is the leading John Wesley expert in America for the United Methodist Church. Join us for this special three part series to explore our United Methodist founder, the church he started, and the beliefs he had about stewardship that affect us even today. This first webinar will introduce participants to John Wesley as a man of the 18th century. You are welcome to take it by itself or sign up for all three in the series we are offering. Below is a list of some topics we'll cover that influenced John Wesley which in turn influences our faith community today. Learn more in this engaging, story centered webinar! Use this space to register others with their names and email addresses. How do you best communicate with your congregation? How do you reach different ages, different interests, different groups of people? Learn how social media has been changing! This webinar will share some of the newest approaches and provide you with helpful ways for reaching others. Use your social media outreach to share the Good News and engage your community with deeper, more meaningful connections. This is the first in a series of four media stewardship webinars -- we hope you can join us! You are welcome to take any or all of them. Scott Vaughan, President of Scott Vaughan Communications, specializes in teaching churches strategic communications for more effective ministries and collaborations. Register by February 22, 2019 to reserve your place to learn more. Your $25 nonrefundable registration fee is eligible for 0.1 CEUs. NOTE: Each participant is asked to pay the registration fee even if viewing on the same computer screen. Do you miss getting letters or postcards in your mailbox? It turns out a lot of people do. See how printed communications are changing and thriving as a means to connect with your churches and communities. You are invited to join us for this informative and useful webinar focused on rethinking familiar communication tools. Scott Vaughan, President of Scott Vaughan Communications, is a popular and engaging facilitator of church communication strategies and outreach. He specializes in helping faith communities create and sustain dynamic interaction with each other and the communities they serve. This webinar is the second in a series offered by our communications expert. You can enhance your stewardship by taking the other two offered in the fall too. Register by February 12, 2019 to reserve your place to learn more. Your $25 nonrefundable registration fee is eligible for 0.1 CEUs. To earn CEU credit, please use a computer with a web camera and remain visible for the entire hour as well as completing and returning the Reflections of Learning form before 4 PM on February 20, 2019. For any questions, please contact us at sfcpa@umstewardship.org or call 717-766-7343. We want to do God's Work. We need to plan. We need to give. Where do we start? This TWO-HOUR webinar is an overview on funding a church's mission today. Even though you may have funded missions in the past, some of the ways to do this have changed. It may be more effective to include online giving components and social media promotions. There are different ways to invite generosity -- see what fits your group to best aid your mission goals and outcomes. Rev. Dr. Ken Sloane is the Director of Stewardship and Connectional Ministries for Discipleship Ministries of the United Methodist Church. We are thrilled to have our national denomination leader offer the latest in stewardship education for our Susquehanna Conference! Ready to get registered? Please sign up by January 16th! Your $25 nonrefundable registration fee is eligible for 0.2 CEUs. Please list names and emails of anyone else you are registering. Note: a registration fee is needed for each participant even if viewing on the same computer. Thank you! Questions? Please call 717-766-7343 or email us at sfcpa@umstewardship.org. Look forward to seeing you online! Collaborate with your financial team to develop and increase effective stewardship. 1. Increase ministry impact with efficient and transparent resource management. 3. Celebrate the gifts and process of administration with your congregation. We are thrilled to have our facilitator for this course! Rev. Dr. Phil Jamieson is the co-author of Ministry and Money: A Practical Guide for Pastors. He is one of our top United Methodist leaders who presents a theological base for financial planning and practices. Come and learn more from our gifted speaker! Click "Yes" if you would like to earn continuing education credits. Please submit your registration by November 1, 2018. When you click "Let's Get Registered" you will be directed to our PayPal link. Note that using Internet Explorer may cause issues using PayPal. Payment can be made by check. If you wish to pay by check, close the box, make your $10 nonrefundable check payable to UMSF, and send to the following address: The United Methodist Stewardship Foundation, 3901 Hartzdale Drive Suite 110, Camp Hill, PA 17011. If you have any questions, please call 717-755-7343 or email sfcpa@umstewardship.org. Thank you for registering! We look forward to being with you on November 1st! PLEASE NOTE THIS IS A TWO HOUR TUESDAY WEBINAR! We are getting ready for the New Year! Are YOU? There have been some changes in the tax laws next year and we want you to know how this may affect you. The United Methodist Stewardship Foundation is excited and honored to bring back our Clergy Tax Facilitator, Rev. Ed Bailey. He is the Executive Director of the United Methodist Foundation of Western Pennsylvania and has a special mission to help his fellow clergy. We are grateful he is willing to share his expertise with this new, updated and ABBREVIATED presentation. He is an ordained elder with twenty years of pastoral experience who has also served as his conference's Pensions and Benefits vice-chair. At the end of this two-hour seminar you have a better understanding of the unique issues you face as a United Methodist Clergy Person. What is more, you will have some take away tools to share. Invite your church treasurer or financial secretary to take this webinar with you so that the right forms and documentation can be submitted to help you with your tax preparation. *NOTE: the smart phone option and Apple products will need a free Zoom app installed, Safari is not as compatible with Zoom as other web browsers. Due to requirements for earning CEU credits, we must request that you be visible the entire hour by keeping your camera on, that you participate in the chat box and polls, and that you turn in the completed CEU form by the deadline given. Practice all of your leadership skills, including financial. How might you model meaningful leadership in your ministry when it comes to money? 1. Providing a simple thinking construct for working with money dilemmas. 2. Developing more money applications in preaching. 3. Gaining perspective on leading diverse communities, especially in money matters. 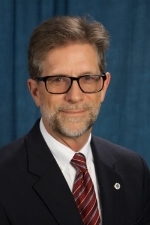 Mark L. Vincent, PhD, CCNL is a Chair for the Eastern Wisconsin Convene Team. 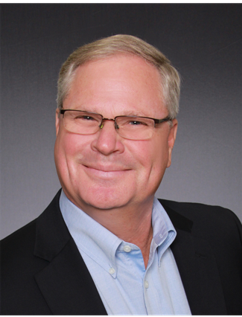 He is the CEO of Design Group International, and provides leadership to the Convene Consulting Network, providing wise guidance for leaders of enterprise and service organizations. Out of his own life spent building enterprise while dealing with a prolonged health battle, Mark, and his first wife, Lorie, pared and honed their answer to the question, “if there is just one thing to which you could give your life, what would it be?” The answer for Mark is to love leaders as they claim their life vocation as stewards of enterprise. His latest book is the 4th edition of The Christian View of Money. We ask that you register by September 28th to help us plan accordingly. When you click "Open Form" you will be directed to our PayPal link. If you wish to pay by check, close the box and send your $10 nonrefundable check make payable to UMSF and send to the following address: The United Methodist Stewardship Foundation, 3901 Hartzdale Drive Suite 110, Camp Hill, PA 17011. Thank you for registering! We look forward to being with you on October 3rd! Ready for a super session? Get a jump on the fall with this special webinar. We ask that you submit your registration before by September 12th. When you click "Open Form" you will be directed to our PayPal link. If you wish to pay by check, close the box and send your $10 nonrefundable check make payable to UMSF and send to the following address: The United Methodist Stewardship Foundation, 3901 Hartzdale Drive Suite 110, Camp Hill, PA 17011. Thank you for registering! We look forward to being with you on September 19th! Imagine the money we need versus what we have for ministry. Imagine they are the same. "We like to complain that we are poor and struggling, little money, and pity us. BUT, the reality is we have as much money as we need for the mission, we are just afraid to ask for it, or we ask poorly." This presentation addresses our situation of indifferent giving (2% as average), some US statistics, references to studies, and opens us new and different ways to raise funds and stewardship awareness. Names and email addresses of any other participants you are registering. Please note the fee is for each participant. Presenter Bob Sitze offers some startling observations about shifting our stewardship theology and practices. Exploring a radically honest biblical foundation for stewardship, Sitze also advocates for adopting secular stewardship wisdom for the renewal of congregations with critical thinking and assessment. 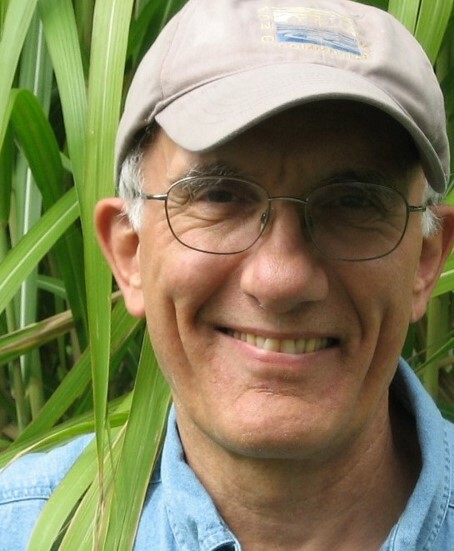 Bio: Bob Sitze is author of Stewardshift: An Economia for Congregational Change (Morehouse, 2016). Sitze is a retired stewardship staff member from the Evangelical Lutheran Church in America and writes a blog for older adults—www.fullofyears.org. Please submit your registration by September 6th. When you click "Open Form" you will be directed to our PayPal link. If you wish to pay by check, close the box and send your $10 nonrefundable check make payable to UMSF and send to the following address: The United Methodist Stewardship Foundation, 3901 Hartzdale Drive Suite 110, Camp Hill, PA 17011. Thank you for registering! We look forward to being with you on September 12th! Do you know the "secret ingredient" to increase giving? Do you know the communications that unintentionally decrease giving? Join us for a two hour webinar and find out how to engage the church to do more and give more. Learn how to talk about money and how to transform the understanding of this tool to be used for God's glory. Meet Rev. Rebekah Simon-Peter, a pastor who has broken the color, gender, and religion barriers in the local United Methodist church and now works as a leadership coach and award winning author. 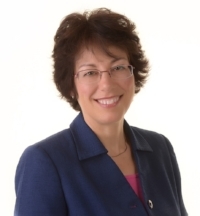 President of Rebekah Simon-Peter Coaching and Consulting Inc, Rebekah is also author of The Jew Named Jesus, Green Church: Reduce, Reuse, Recycle, Rejoice!, Green Church Leader Guide and 7 Simple Steps to Green Your Church. She holds Certifications as an Everything DiSC® Authorized Partner from Wiley as well as their highest credential for coaches and trainers. Rebekah describes herself as "a beginning mediator, budding organic gardener, decent skier, and all out dog-lover,." Ready to join in this special double feature event? Sign up for the webinar, click the box below. Mixed Messages about Money Webinar Registration; you must attend both hours to get CEUs. If you are signing up for more than yourself, please list these people below and their email addresses so that they can be sent the webinars' links and instructions. Thank you. Please note that we ask for all participants to pay a registration fee even if using the same computer to view the webinar. If they need CEUs, let us know. When you click "Open Form" you will be directed to our PayPal link. If you wish to pay by check, close the box and send your $20 nonrefundable check make payable to UMSF and send to the following address: The United Methodist Stewardship Foundation, 3901 Hartzdale Drive Suite 110, Camp Hill, PA 17011." If you have any questions, please call 717-766-7343 or email sfcpa@umstewardship.org. Thank you for registering! We look forward to being with you on May 9th! Registration Deadline: April 4, 2018; Don't Wait! Bring some food and have a working lunch while online. Join us to develop outreach strategies for millennials that will put a spring in your stewardship and plant seeds for tomorrow. All you need is an hour, a computer with a camera and a good internet connection. BIO: Grace Duddy Pomroy is a millennial stewardship ministry leader. She graduated from Luther Seminary in 2012 with a Master’s of Arts degree in Congregational Mission and Leadership. 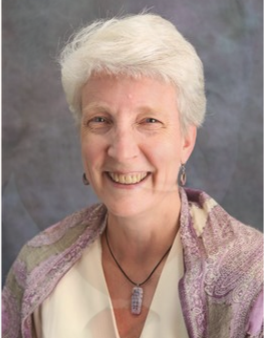 She served as the Assistant Director of the Center for Stewardship Leaders at Luther Seminary and the Executive Director of Operations for Kairos and Associates and the Joshua Group. She is the co-author of the recently published stewardship book, Embracing Stewardship: How to Put Stewardship at the Heart of Your Congregation’s Life, as well as author of the 2013 ELCA stewardship resource, “Stewards of God’s Love.” She lives in Apple Valley with her husband, Tyler. She is currently the Financial Education Specialist at Portico Benefit Services. If you are registering for others too, please list the names and email addresses below. Thank you. We ask that you pay a registration fee for each participant even if you are using the same computer. If they need CEUs, let us know. Thank you! Register by April 4th! You will be directed to a PayPal site when you click "Register." If you would like to pay your $10 nonrefundable fee by check, please make it out to "UMSF" and send it to "The United Methodist Stewardship Foundation, 3901 Hartzdale Drive Suite 110, Camp Hill, PA 17011." If you have any questions, call 717-766-7343 or email sfcpa@umstewardship.org. Thank you and God bless your ministry! Using Acts 2, the webinar will focus on a theological foundation of abundance as pathway to sharing as a counter to the current social narrative of scarcity which leads to hoarding. See stewardship as care for creation, observance of Sabbath, affirmation of human worth and value, proclamation of the gospel, as well as the effective management of resources. Our Presenter: Bruce Barkhauer served as a pastor for twenty-five years before becoming the first Minister for Faith and Giving for the Christian Church (Disciple of Christ) in 2010. He is also the author of Community of Prayer, a month long daily devotional on stewardship and a national speaker on stewardship as a way of life. Contact us: sfcpa@umstewardship.org or 717-766-7343. Thank You! Looking forward to seeing you online! "Stewardship is a way of life, not simply a conversation about money and church budgets." Rev. Bruce Barkhauer, Minister of Faith and Giving for the Christian Church (Disciple of Christ). Please note each registration will require the registration fee even if using the same computer to view. We ask you list each other participant's name and email address. If they need CEUs, let us know this as well. Thank you! If others you are registering require CEUs, please use the message field to note this along with their email address to send the form. We will be rescheduling this webinar to a date in March; stay tuned! Rev. 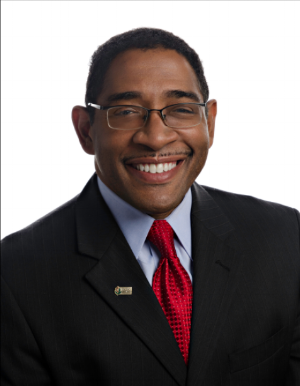 Melvin Amerson is an ordained elder and stewardship consultant for the Texas Methodist Foundation. He is also the author of Stewardship in African American Churches: A New Paradigm and co-author of Celebrating the Offering and Fruits of Celebrating the Offering. He has also been honored as "Small Church Pastor of the Year" by his conference when he served in the local church. We challenge you to be deliberately joyful as part of your Lenten discipline. We encourage you to discover growing your faith through your stewardship. Join us for this engaging and practical webinar to learn loving God with your gift of celebration. Know Your Role in Celebrating the Offering? Ready to Register? Please fill out the form below by February 23, 2018. See you online! Each participant must pay the registration fee even if using the same computer to view. Please note whether the others you register need CEUs. When you click "REGISTER" you will be directed to our PayPal link. If you wish to pay by check, close the box and send your $10 nonrefundable check make payable to UMSF and send to the following address: The United Methodist Stewardship Foundation, 3901 Hartzdale Drive Suite 110, Camp Hill, PA 17011." Thank you for registering! We look forward to being with you on February 28th! Join us to start the Lenten season with the discipline of sustaining stewardship. Create a stewardship calendar that gives adequate attention to different aspects of generosity such as capital giving, major gift appeals, financial literacy, special and designated giving and stewardship of time and talents. You will be directed to a PayPal site when you click "Register." If you would like to pay your $10 nonrefundable fee by check, please make it out to "UMSF" and send it to "The United Methodist Stewardship Foundation, 3901 Hartzdale Drive Suite 110, Camp Hill, PA 17011." Join us to develop the financial strategies that will start your church's year right. Is your church facing a budget crisis? Does your church fight about money—or keep secrets about it? Do you and your leaders struggle with stewardship? This webinar will help you lead around money matters with lowered anxiety and more clarity to cultivate greater generosity in your church. What you will take away with you: a new way to approach the money challenges we all face at church. Rev. Margaret Marcuson helps clergy and churches do their work without wearing out or burning out. She speaks and writes on leadership and church finance, and works with church leaders as a consultant and coach. Margaret is the author of Leaders who Last: Sustaining Yourself and Your Ministry and Money and Your Ministry. A graduate of the Pacific School of Religion, Margaret was the pastor of the First Baptist Church of Gardner, Massachusetts, for 13 years. She lives in Portland, Oregon. We are honored to offer our second webinar with CEO and author Peter Wong! 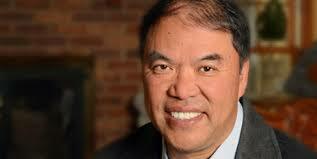 Peter Wong has over thirty years experience working in the regulatory fields for the health and financial industries. A care giver himself, he has co-written The Caregiver's Toolbox to help caregivers know their rights, the questions to ask and the options for help in caring for their loved ones through diagnosis, day to day living and death. All you need is a computer or smart phone with a video camera,* a good internet connection, and an hour! *Please note the smart phone option and Apple products will need a free Zoom app installed, Safari is not as compatible with Zoom as other web browsers. You are invited to read the webinar description to your left and use the form below to register. If you want a CEU, please check "Yes" so that a form and instructions can be sent to you at the end of the webinar. You must attend the entire hour to receive a CEU form to fill out. Thank you for registering. If you are sending a check for payment, you can stop now. If you prefer to pay via PayPal, just click the Buy Now button below. Caregiving comes in separate stages, each with its own challenges and tasks to complete. Join us to learn the three stages of care giving along with the tools, checklists, and questions you can use to help you care for your loved one's health issues and treatments. See how caring for yourself is part of the process to improve and sustain the care you are giving to your family. Due to requirements for earning CEU credits, we must request that you be visible the entire hour by keeping your camera on, you participate in the chat box and polls, and you turn in the completed CEU form by the deadline given. Clergy: Have a meaningful date night and plan your future finances while sharing in a special meal out! Take the time to discuss your relationships with God, with each other and with your blessings. Clergy and Finance Leaders: Create an immediate impact on your congregation with best practices to enhance your accounting, transparency, and giving. Make a budget that aligns with your church's mission statement and learn the theological basis for the ministry of money to take back to your church. The Rev. 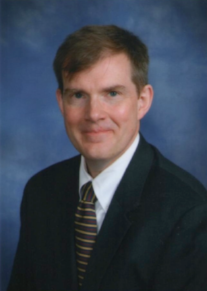 Philip D. Jamieson, Ph.D. is an ordained elder in the United Methodist Church. 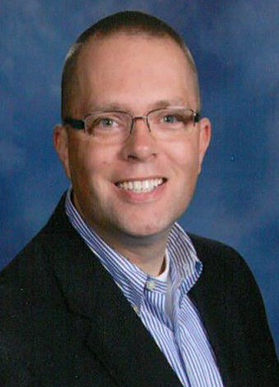 After serving local churches for eleven years, he taught pastoral theology at the University of Dubuque Theological Seminary. There, he co-developed the course, “Ministry and Money” with his wife, Janet. Since publishing their book by the same name, the two of them have traveled extensively, offering seminars to clergy and lay leaders regarding the critical nature of financial ministry. 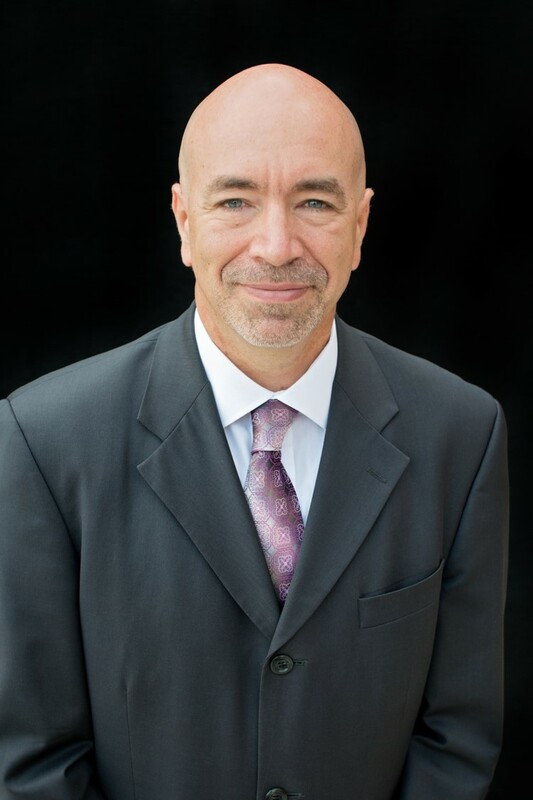 Phil became President of the United Methodist Foundation for the Memphis and Tennessee Annual Conferences in 2013. 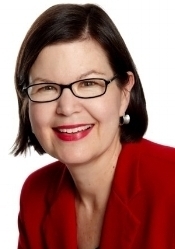 Dr. Janet Jamieson has a Master's of Science in Accounting and is a Certified Public Accountant (CPA) with experience in both public accounting firms and in higher education. She was Associate Professor of Accounting and the Director of Summer School at the University of Dubuque for fourteen years. 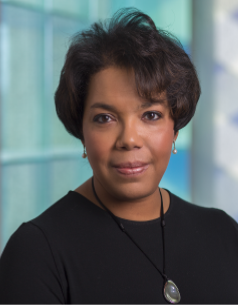 She currently serves as the Chief Financial Officer/Treasurer for Discipleship Ministries (General Board of Discipleship) and The Upper Room. Because this is a two day event, registration for each day is separate. Please be sure to register for each day you can attend. Please come before 10 AM so that we can start promptly. Looking forward to seeing you there! The United Methodist Stewardship Foundation is honored to bring Rev. 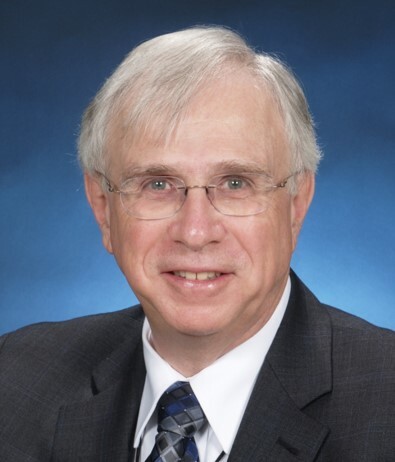 Ed Bailey, Executive Director of the United Methodist Foundation of Western Pennsylvania, to share his expertise in Clergy Taxes. He is an ordained elder with twenty years of pastoral experience who has also served as his conference's Pensions and Benefits vice-chair. At the end of this four-hour seminar you have a better understanding of the unique issues you face as a United Methodist Clergy Person. What is more, you will have some take away tools to share. We are thrilled to offer our first webinar with Dr. Rebekah Burch Basinger! All you need is a computer or smart phone,* an internet connection, and an hour! *Please note the smart phone option will need a free Zoom app installed. You are invited to read the webinar description below and use the form to register. Using data to encourage and celebrate generous giving by parishioners. Because this webinar contains a PowerPoint, you will need to see the presentation. You cannot join in by only a phone call. If you don't have a camera on your computer for us to see you, you will still be able to participate by typing questions/comments in the chat bar. 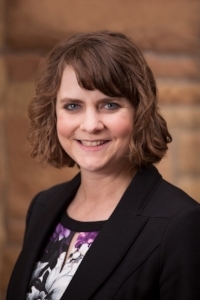 Rebekah Basinger is an independent consultant for fundraising and board development, working primarily with theological schools and other faith-based nonprofits, including churches and denominations. The co-author with Thomas Jeavons of Growing Givers’ Hearts: Treating Fundraising as Ministry, Rebekah has earned the reputation as a teacher and encourager of stewardship leaders both in and out of local church settings. Rebekah serves on the boards of the Ecumenical Stewardship Center and the Friends of the Theological College of Zimbabwe. She and her husband, Randall, live in Dillsburg, PA, and are long-time members of the Grantham Brethren in Christ Church. Thank you! If you are paying via PayPal, just click the link below. PAYMENT: WHEN YOU CLICK THE REGISTER BUTTON, YOU WILL BE TAKEN TO THE PAYMENT PAGE. IF YOU REQUESTED TO PAY BY CHECK, JUST CLOSE THE PAGE. IF YOU CHOSE PAYPAL, THE INSTRUCTIONS ARE ATTACHED.